This is our twenty second two week wait since we started trying to conceive back in 2012. 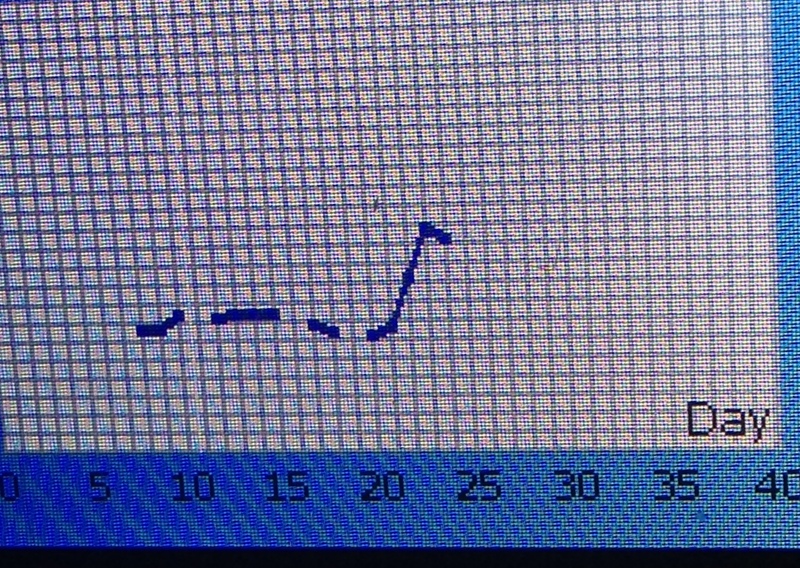 I am three days post ovulation currently, as shown by a lovely temp rise over the past three days. I’m hoping it stays up nice and high. Our timing was fairly good this cycle. We had one insemination three days before ovulation, and one on the day of ovulation. I trusted my body this cycle and we started inseminating as soon as fertile cervical mucus showed up. Tuns out our timing was fab, so now we just need to sit around and wait and see if this month is ours. Oddly enough, I’m not actually too bothered about the outcome of this cycle. I think it’s because we know we now have clomid waiting on the sidelines and that means the pressure has disappeared a little bit. I know that next cycle we will be giving ourselves that little bit more of a chance. Fingers crossed that clomid will be the fix that we need. I managed to get pregnant somehow without it, so hopefully it will give my ovaries an extra boost. I got myself into a dither this week. Basically when the dr was reading my notes last time I saw her, I thought I heard something about a septate uterus. Of course, typing that into Google filled me with all kinds of fears, so I rang the doctor and left a message for her to call me back. I also left a message with the EPU nurse who scanned me to ask if there’s any chance what was written could be confirmed to me. The doctor phoned back first. She explained that the notes did not say septate uterus, but they do say “Arcuate Uterus”. She reassured me that of all the uterine abnormalities, this is the one that is known to cause the least problems. She also said it was something that it helps to be aware of, as it means if I do have another miscarriage they can refer me for testing after two, instead of waiting until I have three. This looks more like a normal uterus, except it has a dip, or slight indentation at the top. It is a common abnormality, affecting about one in 25 women in the general population (Chan et al 2011a). It.doesn’t usually make conceiving difficult (Chan et al 2011b). There was a picture, too, which was helpful for me to visualise what exactly we are working with here. Later that day, the EPU nurse called me. She reassured me of much the same – that is said arcuate and not septate. She reassured me that no septum was seen or suspected on either normal ultrasound or on the blood flow ultrasound. She told me that up to about 50% of the women she scans have a mildly arcuate uterus and it doesn’t normally cause a problem. I was very appreciative of how supportive and sweet the dr and then the nurse were. I said to the dr that I felt like I had wasted her time by getting her to call me, but she said she would definitely rather me call and get clarification than sit around worrying. Both the nurse and the dr said it doesn’t mean I am more likely to lose our next baby. I very much appreciated the clarification and the genuine care and attention. Thank goodness for healthcare professionals that actually care! Ao, aside from that there is no news in Laura and Amy land. We’re just sitting around, waiting for the next step. Who knows, maybe threatening my reproductive organs with clomid will be enough to make them, sort themselves out this cycle! This entry was posted in 2015, 2ww, arcuate uterus, artificial insemination, charting, Clomid, cycle days, donor, donor sperm, donors, fertility, lesbian, lesbians, London, ovaries, ovulation, septate uterus and tagged 3dpo, arcuate uterus, clomid, dr, lesbian couple, nurse, septate uterus, two week wait. Bookmark the permalink. I hope the tww goes quickly for you. I’m glad you got your happy ending. Fingers crossed we will be headed the same way soon !